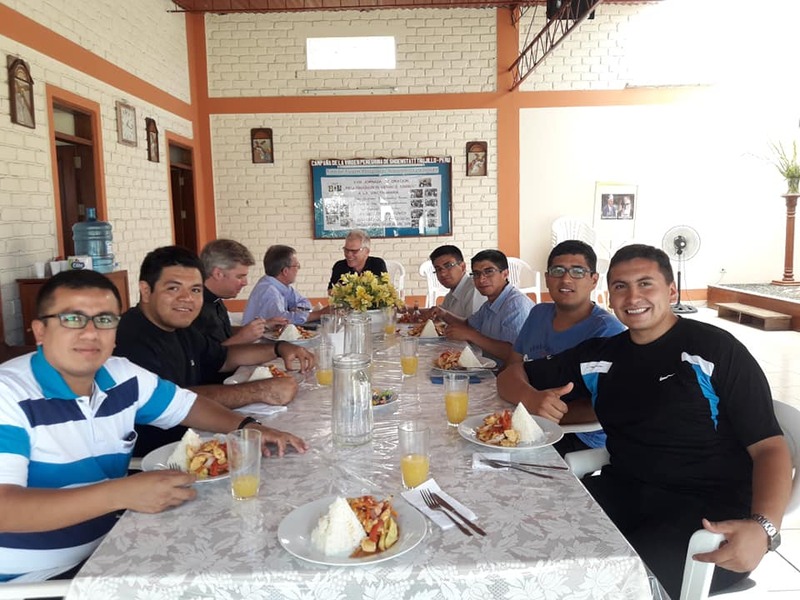 Peruvian seminarian retreat —Heavenwards and Fr. Kentenich— what a combo! 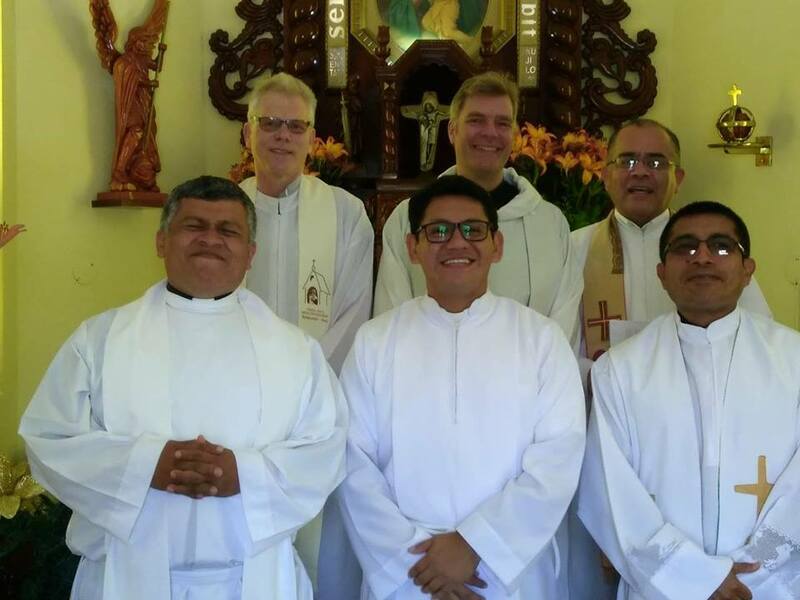 A retreat for the members of the Institute of Diocesan priests from Peru took place in the Shrine of Loyalty from 26-29 December 2018. Fr. Christian Löhr, Superior of the Institute of Schoenstatt Diocesan Priests from Germany, led the retreat. 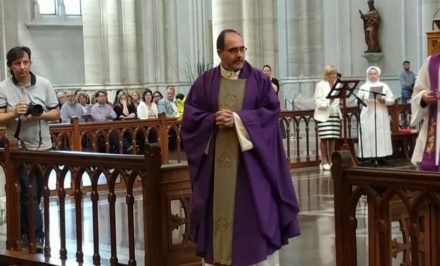 Bishop Reinaldo Nann, the current Bishop of the Prelature of Caravelí, Frs. Edgar Merel, Javier Cisneros, Oswaldo Perleche and deacon Frank Núñez attended. The main theme of the retreat was based on the Heavenwards prayer book. 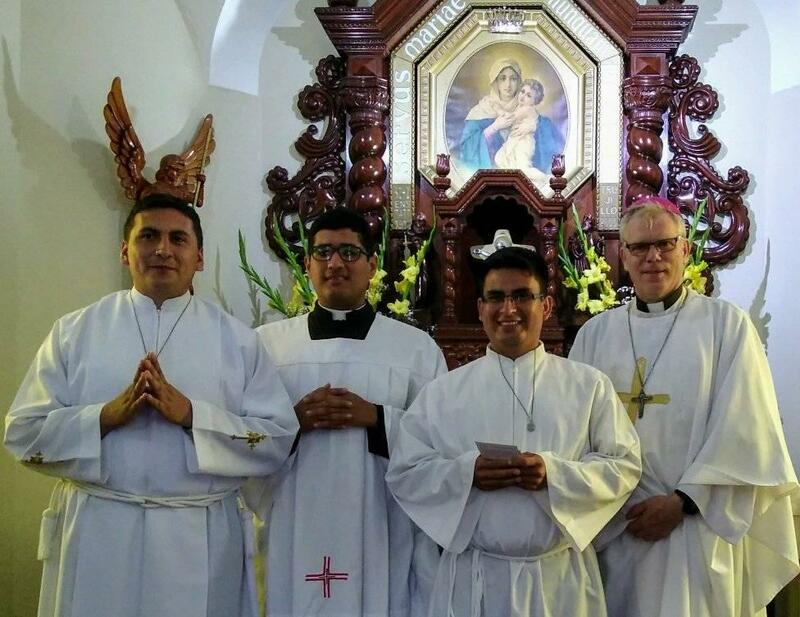 The Schoenstatt Family from Trujillo accompanied them with prayers, and felt very blessed by this priestly event in their city. Bishop Reinaldo Nann con-celebrated the last Mass of the year in the shrine with Fr. Christian Löhr, Fr. 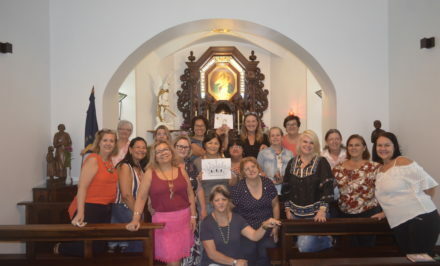 Kurt Faulhaber and with all the Schoenstatt Family from Trujillo, to welcome the blessings of the New Year. 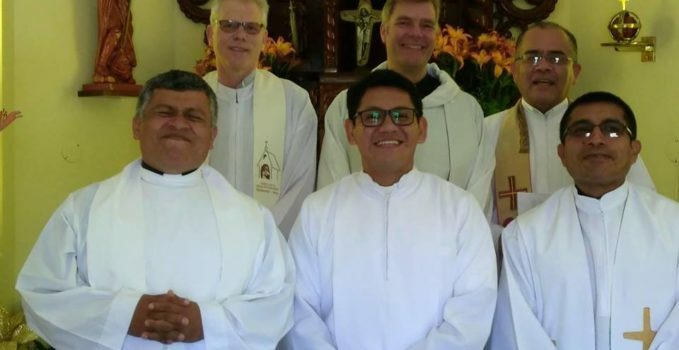 Before being ordained as bishop, Bishop Reinaldo Nann had carried out retreats with seminarians that came from different dioceses to deepen their road toward the priesthood. 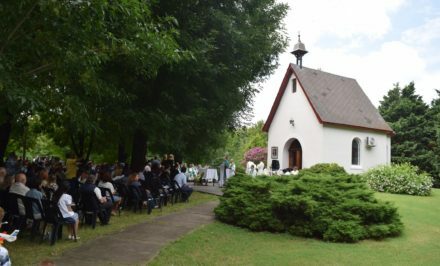 This time, the retreat for seminarians had a more Schoenstatt charism with the presence of Frs. Kurt Faulhaber and Christian Löhr. 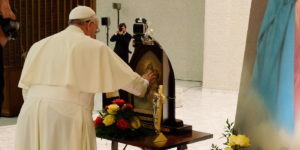 The main subjects were: “From frailty to trust” and “Vital processes in Fr. Kentenich’s youth.” A fruit at the end of the retreat manifested in three seminarians sealing their Covenant of love. All of them valued the experiences shared by the speakers, and expressed their satisfaction from these very significant days. 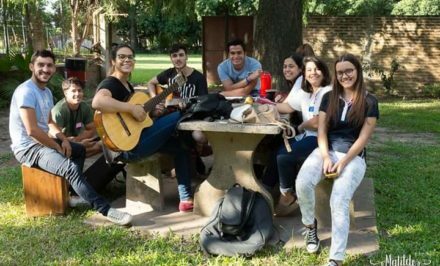 “I felt as if I were in Heaven,” Rocío Medina, coordinator of the Schoenstatt Movement in Trujillo-Peru, exclaimed at the end of all the celebrations. Moreover it was no wonder, “Upon learning the great news that we would have our beloved ex-adviser, who is now the Bishop of Caravelí, among us to lead the retreats with the priests and seminarians, all of us wanted to be present.” Commissions were formed immediately to work together, and they enjoyed the beautiful gatherings, attending as participants. Everything involved with this renewed the spirit, and we are willing to work together with all our Family’s activities.